Kids refuge ahead of schedule in Cali…. and the God of the Open Heaven is still there! Thanney and Davy did a wonderful job in Cali, leaving the building work Friday evening with it ahead of schedule for completion on time in mid-November. 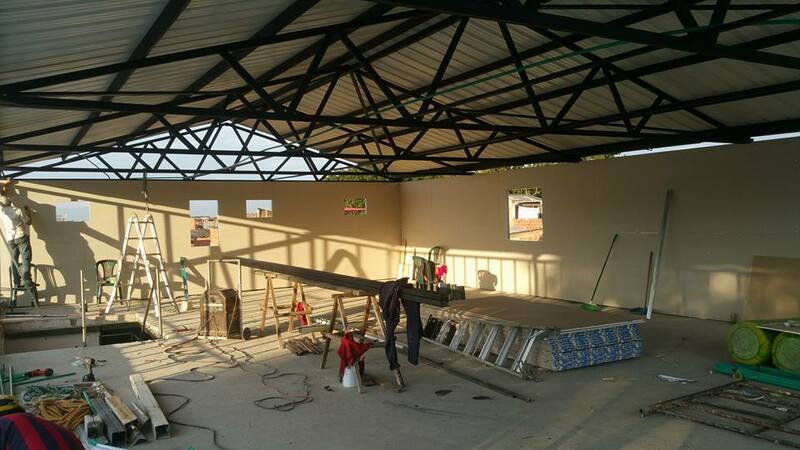 It’s looking good, with some of the internal walls in place now, for a store room, kitchen for the workers to make life easy for providing drinks and food for the kids, a number of toilets for the kids, and for the adults too. The outside cladding is in place, there’s some work underway in Thanney’s absence, including levelling of the floor for tiles to be laid, and some amendment to the cladding in order for the final windows to be put in place…. so Thanney did a wonderful job in the 13 working days time frame he had available. Pictures and video to follow! 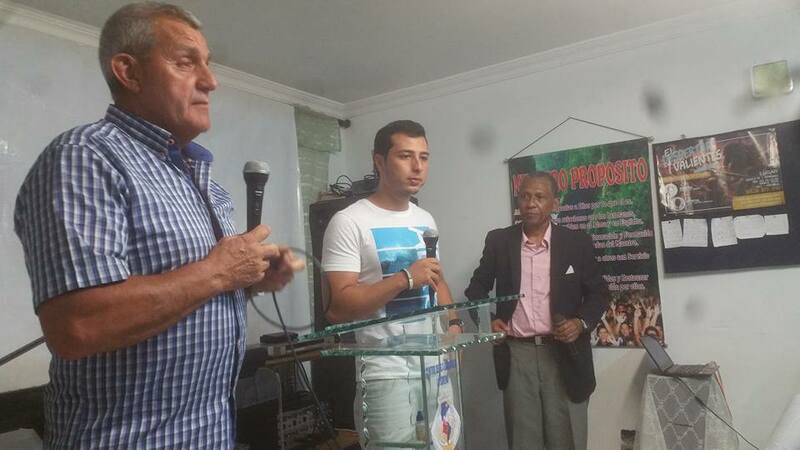 All the church meetings were tremendous, with hundreds prayed for, and pretty much the same name number healed…. some, as have been reported in previous blogs, were wonderful, but whenever you’re sick or in pain, ANY healing, however ‘high profile’ or otherwise, is wonderful. Just to be involved in the spiritual atmosphere of the city of Cali, is a real privilege and a blessing: to have – now – hundreds and hundreds of really close friends, including with countless pastors and leaders, is just amazing. In Cali airport yesterday, we were having a ‘goodbye’ coffee with one of my best-ever friends, Wilmar, and I had need to head for the baños (bathroom – good coffee!) and I was accosted by a lady I didn’t recognise, but who clearly recognised me, and asked if I’d pray for her – she was suffering from breast cancer. I got the other guys around her to pray, and she went away with a huge smile on her face… even up until the last minute, the desire and faith of people drive them to ask God to do a miracle for them…. it’s incredible what gets through an open heaven! It was a long old haul home, a 135-minute delay in Cali en route to Bogota, but we had 3½ hours in Bogota to play with so it wasn’t critical. 10 hours on the uncomfortable seats of the Boeing 787 Dreamliner has been alleviated by the purchase of memory foam seat cushions (maybe a word of advice in advance for anyone travelling on a Dreamliner!). It’s funny, the journey to London is very ‘bearable’, but the final hour ‘hop’ from London to Belfast sometimes seems like the straw that breaks the camel’s back! Back home now, hobbling as a result of my stair-slide before I went away, and the pressure on the old legs, plus the same position sitting on the flight home, but hopefully tomorrow, they’ll be a bit easier…. Out on a real high…. 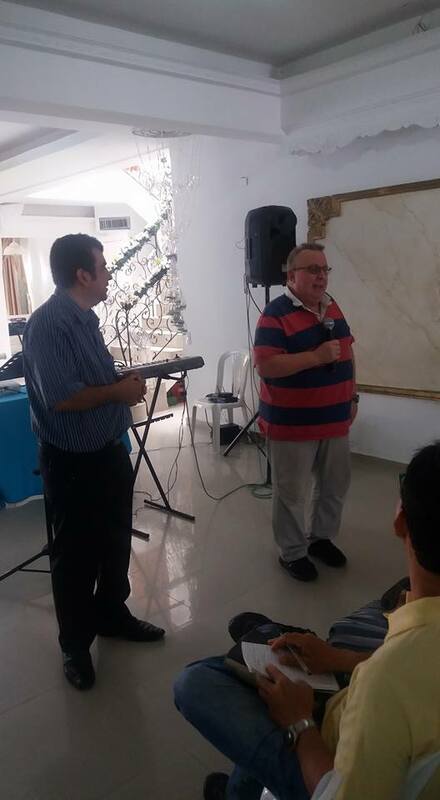 This morning we were at a church I love very much – ‘Vision y Avivamiento’ – Vision and Revival – been going there 4 years, probably been 7 or 8 times, and led by the lovely Mauricio and Diana Naspiran. The first time I went, Mauricio had been knocked off his motorbike and his hand was crushed badly. 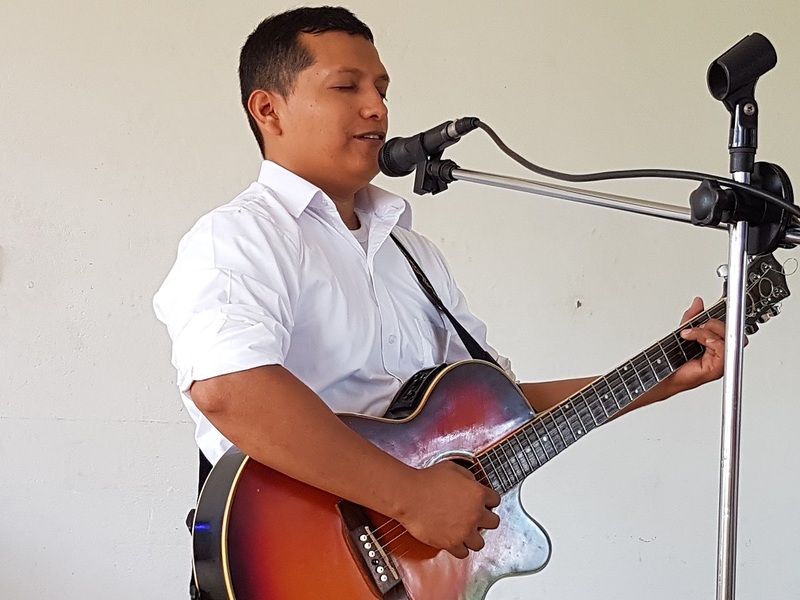 His passion, after Jesus and his family and church, is playing the guitar and leading worship, and he was desolate that he’d never play the guitar again, his fingers (left hand, so fret board) were crushed and bent…. God healed him instantly that first visit, and he immediately picked up his guitar and started leading worship again…. 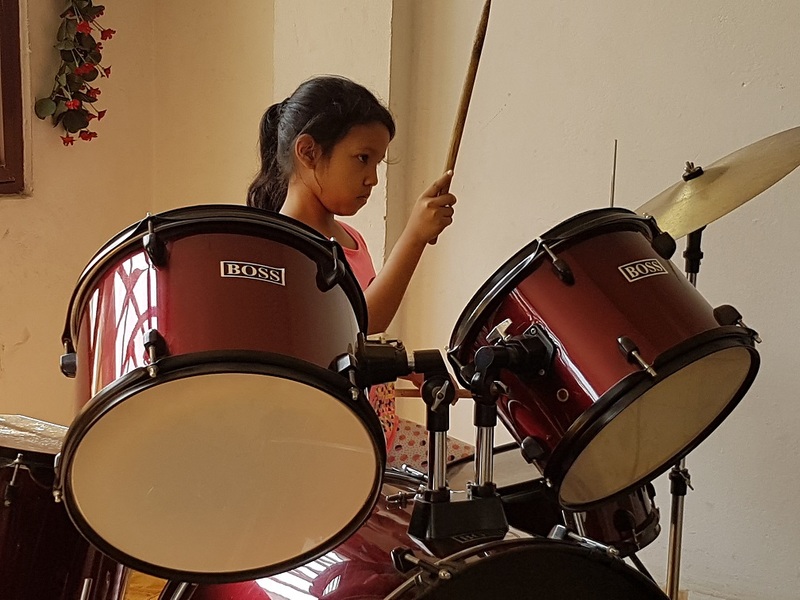 It’s not a big church, numerically, but wonderful people, and some who read the blog or Facebook regularly might remember the photo of the drummer in the church – Daniella, aged 8, a real worshipper, and an excellent, sensitive drummer. 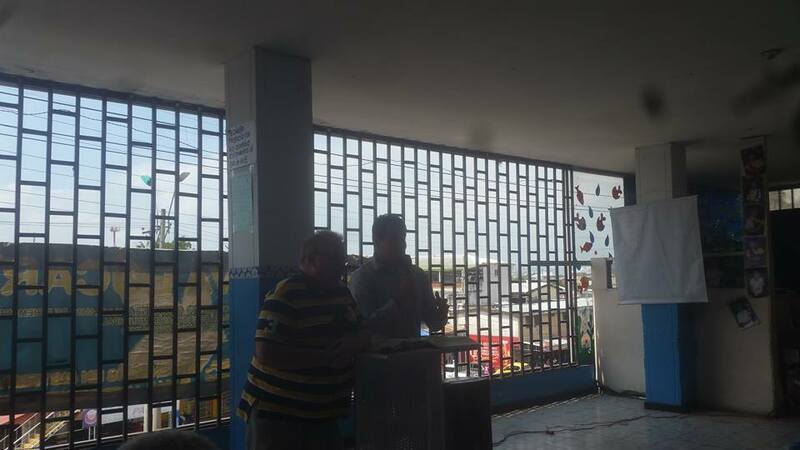 Lots of the congregation were healed this morning: Roberto was in a bad car accident and was crippled, in a great deal of pain, and with terrible problems walking. Davy prayed for him, got his back straightened out, and then his legs became the same length, his ankle which was twisted (permanently, he’d been told) straightened, and he walked…then up and down (just about) the worst stairs you can climb if you’ve got or had dodgy legs – believe me, I know!! Daniella, the drummer, was healed of gastritis, and an out of line back, again showing itself in different leg lengths – they equalised instantly. 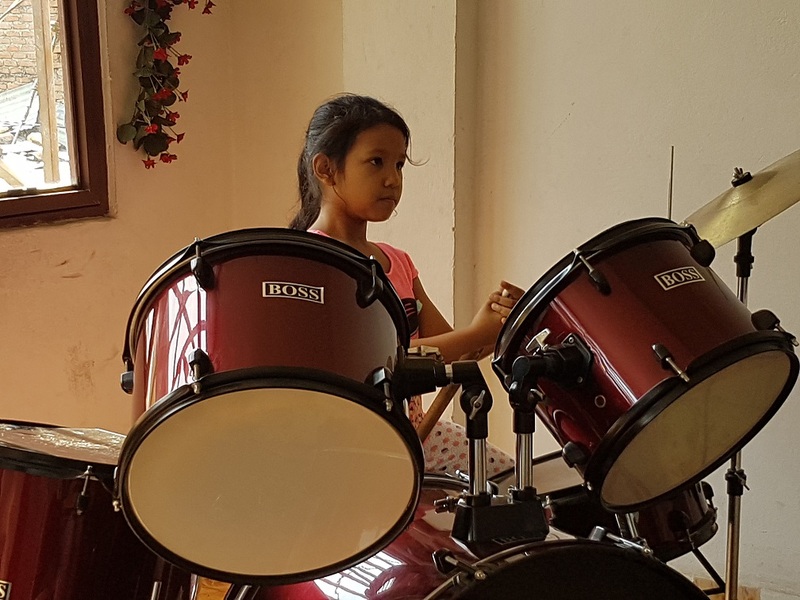 Daniella – youngest drummer in a church anywhere? Other things healed included diabetes, more gastritis, severe back and kidney pain with liver complications thrown in, severe head pain in a young mum for four months, Jorge – who with each successive visit to the church is being healed of prostate cancer, and so many more illnesses, infirmities, and afflictions were healed..
A TRULY amazing woman. And she does it all with delight, a smile on her face, and with such love and compassion in her eyes. I know that, worldwide, there are a zillion ‘projects’ (which when all is said and done, are PEOPLE), but where there is personal involvement, it makes the project/people real. And generally, when all is said and done, there’s a lot more said than done…. So, back home on Monday – though with every visit this becomes more and more home to me, and I leave more and more stuff here for next time…. 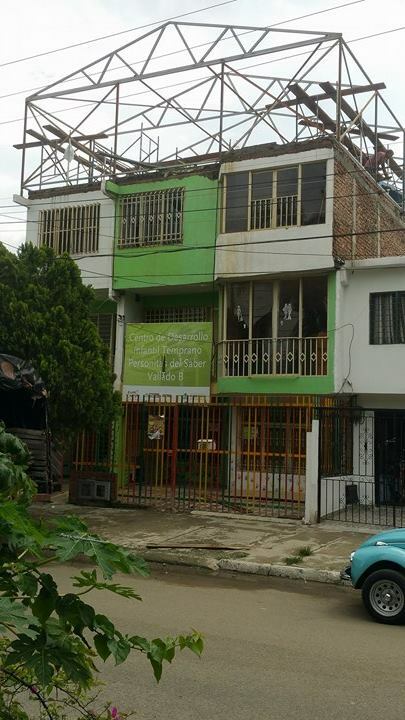 all being well, next time I hope – God willing and providing – have a long-term rental apartment, the floor above Wilmar and Marlene, right in the centre of Cali, with potentially four bedrooms, ideal for bringing teams, and it’ll mean I don’t have to carry so much luggage each visit! It’s also somewhat cheaper than renting short-term, though I will have to acquire – beg, borrow, or…. hmm, no other options! – furniture, equipment, all sorts of stuff that will make it livable for a team and me…. I’ve got three months to sort that out, before coming back here late in October, which is when I can take over the apartment, and the next team arrive. Home sweet home…. so many pastors have said this trip that I should be living here… maybe that’s not as far ahead as I think!! 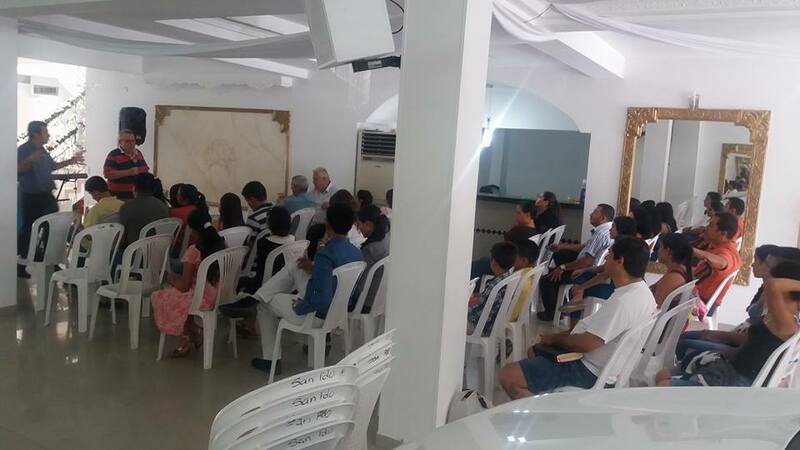 Last night, in the lovely church ‘Nueva Vision, Rios de agua Viva’ (New Vision, Rivers of living water), pastored by a couple becoming good friends, Walter and Diana Murillo, the church was packed to the doors and out into the entrance way on the street…. loads of new people, apparently, perhaps because it had been advertised as a healing meeting! – it was a lovely atmosphere, and you could sense expectation and feel faith in the church. Davy relayed some testimonies to raise faith, from Londonderry last year: Thanney spoke about faith and told the testimony of the 90% blind lady who got her sight perfectly for the first time in her life (about 70+ years I’d guess) in Siloé last October. The testimony of Jesus IS the spirit of prophecy, Revelation 19:10 tells us: when you tell of what Jesus DID and what he is DOING, it becomes a prophetic claim we can make for ourselves, and faith rises…. I had plans to speak about something totally different to what started to come out when I got the opportunity to share: it seems that God wanted me to speak on one of my favourite passages, Psalm 103 – the first 5 verses are God’s Social Security System, which, in a nation where social security, government assistance in any form for individuals and families, is meagre to non-existent. Psalm 103 talks about blessing the Lord, and not forgetting all his (social security guaranteed!) benefits…. :). I dropped in one or two testimonies (can I ever NOT do that? Maybe one day I’ll be a proper preacher, but I love testimony stories, and Jesus was a bit of a story-teller, so I content myself with that!). I told the story of a lady I prayed for a while back with breast cancer, and prayed in Spanish. I began to ‘panic’ as I realised I didn’t remember the Spanish word for breast – it’s not a word that features in my daily vocabulary! – and was frantically asking God what it was. The lady had only pointed to her breast when I asked where the tumour was, she didn’t use the word…. With a flash of inspiration, I thought of KFC, a local chicken restaurant, Frisby, and thought – YES!! Pechuga de pollo, Breast of Chicken, so with confidence I commanded ‘en el nombre de Jesus, este tumor en este pechuga se va’….which brought gales of laughter from the congregation, and the lady with the tumour… seems pechuga only applies to chickens….but she was healed, which was the most important thing for her….. So, there was a lovely lady there last night with a lovely smile, faith pouring out of her, but with breast cancer. So I made her laugh by saying that her pechuga would be cleansed of the tumour: I’ve found that laughter, in the face of chronic illness, can work wonders, and have known people healed just by laughing – when the joy of the Lord becomes their strength. The lady felt things going on inside her, and I suggested to her that she gave herself a good examination when she got home. She totally believed that what she felt was God healing her…. It’d not be an over-statement to say that for Thanney, Davy, and myself, virtually all of the people who responded were healed: and the few others had major things going on inside them that came from God reorganising, repairing, restoring, or replacing whatever was wrong…. So what was the God ‘special’? Well, a lady who’d never been to church before was there as a friend had invited her, and brought her along. She was suffering from chronic lumbago, which is an awful pain. As I was speaking on the Social Security System, verse 3 of Psalm 103 – ‘(God) who heals all of your sickness and diseases’, she was instantly healed, much to her astonishment… I LOVE it when God does that!!! She got a wonderful blessing from her first church experience! 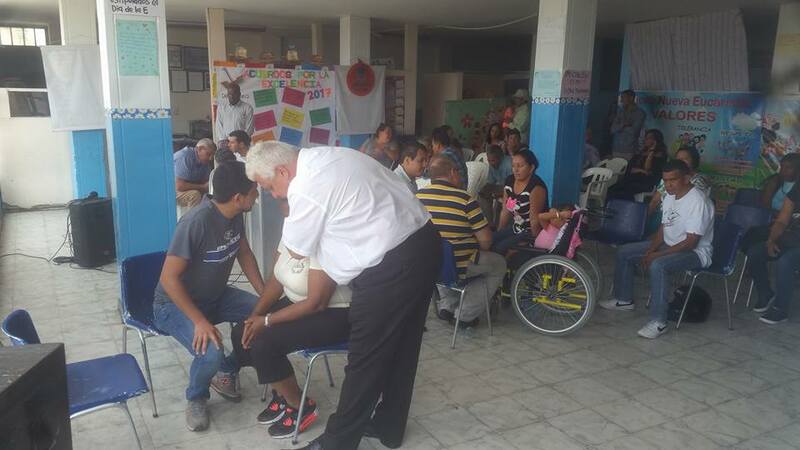 I had a great guy translating for the ministry time – he’d translated in the meeting too – Cesar Charria – and he’d never prayed for anyone before, in a healing context. So I got him to pray for about half a dozen of the folk, and they were all healed…. I LOVE that, too! It’s the joy of my heart to see others see God do healings and miracles, I don’t have the ‘need’ for it to be me I’d much rather release others into something new and so, so important. It was the same at the weekend, with another lovely guy, Santiago López Sanjuán. Why should I have all the fun and privilege? We had a wonderful time with him over coffee, praying for each other, and him prophesying powerfully over me: such a blessing. The foundation building is still progressing, despite the lack of funds, with the floor, the cladding, and the electric, which had already been paid for. It’s looking great. More in a blog to follow…. Davy last night looking as though he’s about to be taken up into the greater cloud of witnesses! 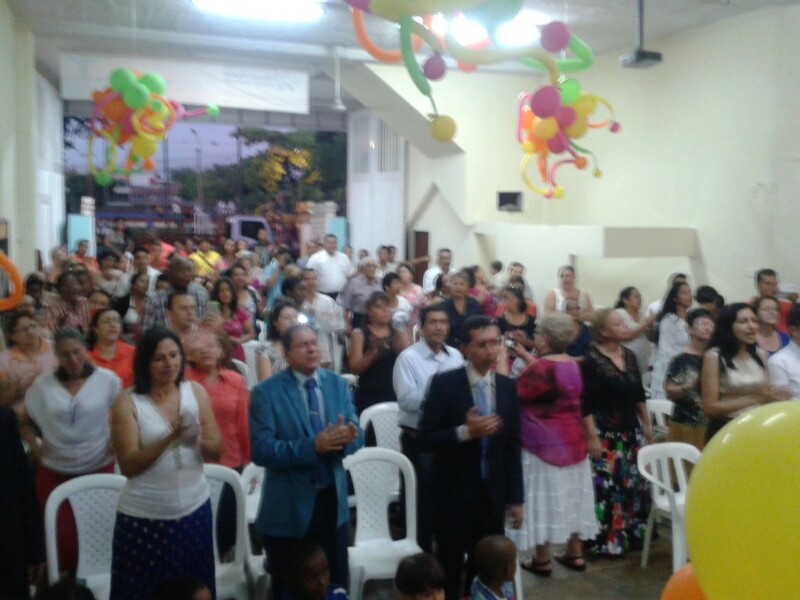 Churches ‘Agua de Viva’ and ‘Fe y Esperanza’ – God in the midst! 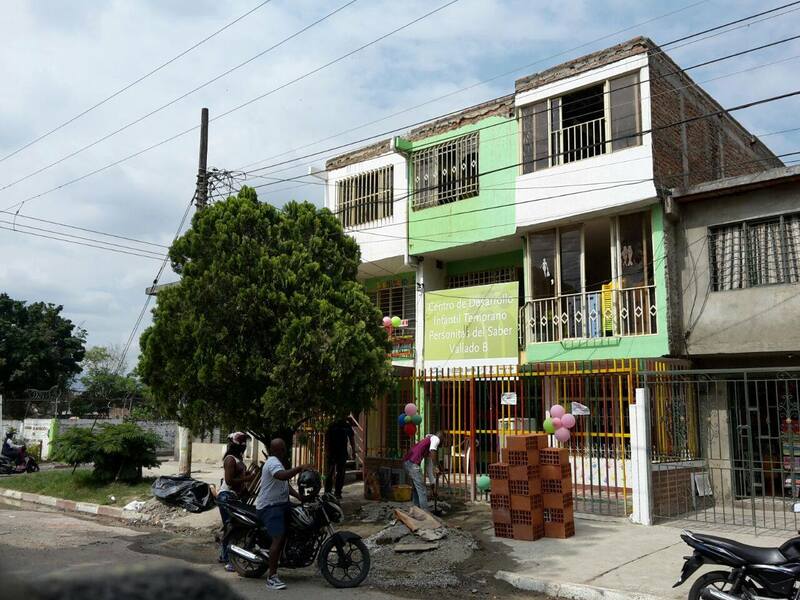 Last Sunday, two lovely churches – ‘Agua de Viva’ (Water of Life) – in Siloe, one of the toughest and most dangerous ‘barrios’ in Cali, led by the wonderful Angela Mondragon de Osorio and her husband Jesus de Osorio: a new venue for church in the heart of a tough district, ideal people to love the people of Siloe into the Kingdom. My only concern was four flights of stairs with this knee, the victim of my dry ski run down my stairs 7 weeks ago, but I made it up and down, though I did feel a bit like the Grand old Duke of York – halfway up and halfway down, I wasn’t sure I was going to make the rest of the stairs in either direction! It’s a delightful church, sensitively and lovingly led, lovely worship… Davy and Thanney both shared well, with personal and miracle testimonies, I had opportunity to share some thoughts from parts of Romans 8, and then the healing floodgates opened…. It’s fair to say, I think, that most people prayed for were healed, or began – significantly – the process of healing. A lot of pain disappeared from many parts of people’s bodies: many will only be known after next visits to doctors, scans, x-rays etc., but there were a lot who got up and walked like they’ve not walked for months, even years: one gorgeous little girl, Stefania, aged 5, born with her spine in two sections, not joined, and having had failed surgery to try and connect it. Then the surgeons had tried to connect it with a steel ‘triangle’ which stuck out of her back like a camel’s hump…. I felt movement in the lump as I prayed for her, and praying so much since that it is the beginning of a massive creative miracle of a new supernaturally inserted spine. Another young lady, 12 years old, her name escapes me, but she was born with microcephaly, where the baby is born with a too-small brain. She was a real handful for her mum to hold, but prayer brought a lot of peace into her, and a much more responsive young lady went away from the prayer time…. praying that the brain – and the skull – expand in these days since, and into the future…. Davy saw most of his ‘patients’ healed, as did Thanney – much to his delight, he got a number of small children, which he really has a passion for – and a lovely ability with. It was a great morning, even the stairs couldn’t detract from the presence of God!! It did take me a while to get down them, though….!! 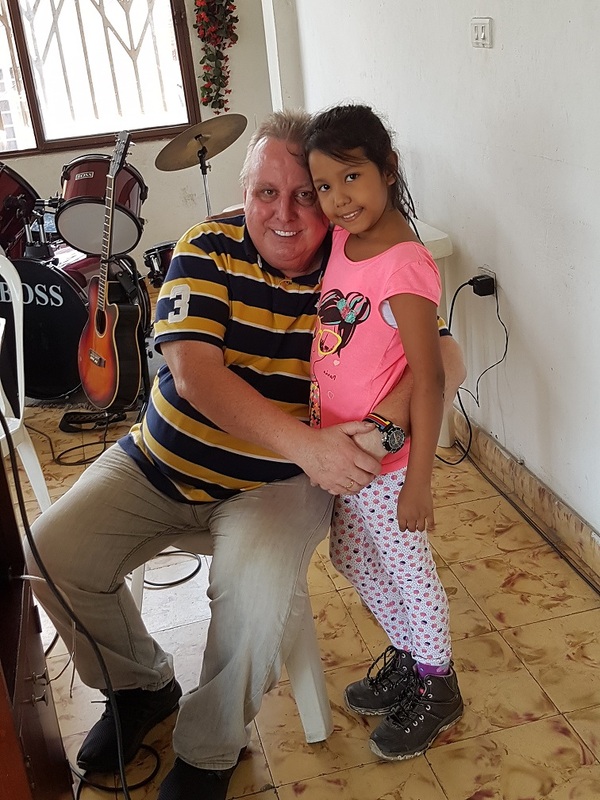 Sunday afternoon was in the high mountain village, La Sirena, in a church that has become very special – Fe y Esperanza – Faith and Hope: their ‘motto’ is ‘Today is the day of your miracle’. It’s a church where wonderful miracles have occurred in the 9 years I’ve been going there (though there was a 5-year gap, as I forgot the name of the village, the church, and the pastor!). Nine years ago, a young man dying with AIDS – 21 years old, three days or so to live, in a wheelchair, was miraculously healed, it was five years before I found out he’d been healed….! 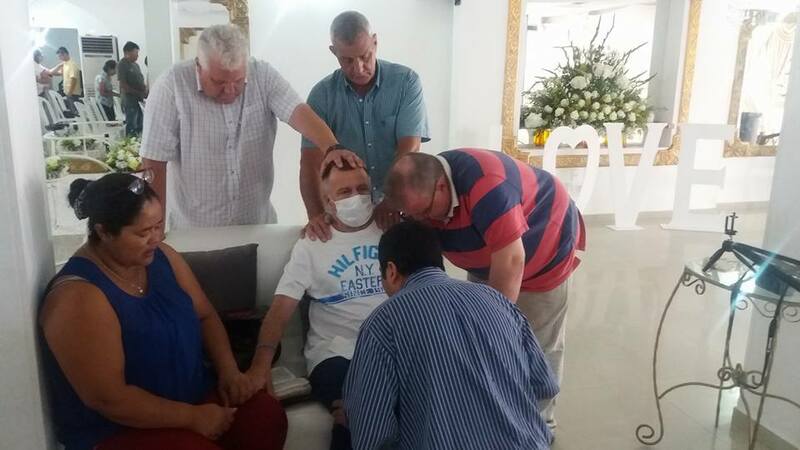 That night in 2008, I will honestly admit I didn’t really know WHAT to pray for him, apart from the obvious, against the spirit of death, the curse of AIDS – so I mostly spent 20 minutes hugging him, as no-one had hugged him for a long time because of the disease. I heard my mum whisper from 11,000 kilometres away that I’d catch it (!!) but I can truthfully say I’m not in faith to CATCH what I pray for, I’m in faith to see it go… he’s alive and well, and one day soon, I’d love to see him again! 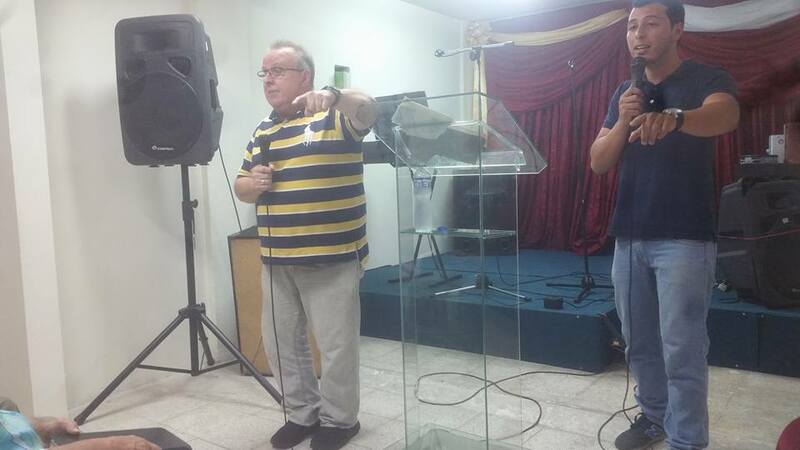 And I’ve told the story before about a lady in the back room of the church (which is Pastor Alcides & his wife Leidi de Valentierra’s home, a small room, bursting at the seams for church, and with a volume that might well fill Wembley Arena!) who I thought was in a coma, lying on a door that people had removed from their house to carry her up the mountain…. many people at this church walk 10-12 kilometres to go to church, maybe that’s why ‘today is the day of their miracle’…. The lady stayed comatose after prayer – and it was, again, 5 years, before I heard the outcome – she wasn’t in a coma, she was dead: and some minutes after I’d left the church, she came back from the dead, and the meeting I discovered that jaw-dropping piece of information from Alcides, she wasn’t able to be at, as she was staying with her sister in Bogota…. not in a coffin or a jar on the mantle-piece, but alive and well, and sad to have missed being there as she wanted to thank me – though of course, I did nothing but pray, and God blew me away with the end result…. Many were healed last Sunday: after a great time of worship from a vocal group – Salmistas Fe (Psalmistas Faith) – another lovely ‘God-connection’ with them, Nelson and Anibal – the presence of God was tangible, and with the three great translators who’ve been with us a lot of the last week – Cesar, Santiago, and Daniel, we saw God do so much. 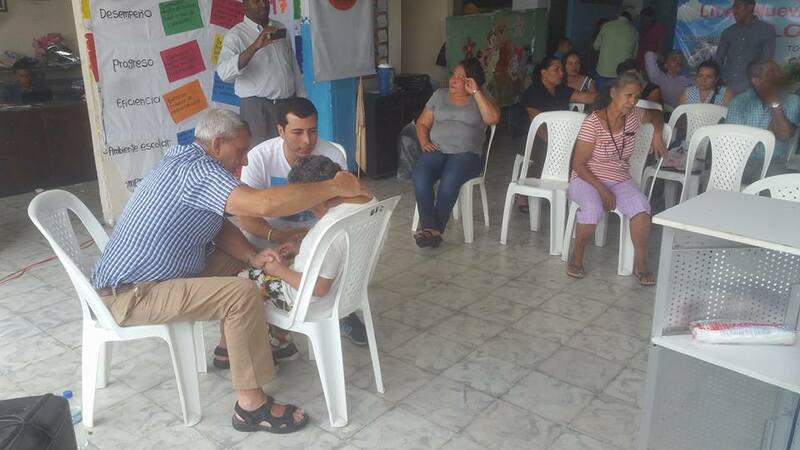 I’ve had a lot of ministry times with Santiago translating, and got him praying for people to be healed: it’s been great to see God use him to do other than translate! A late night home, even though the meeting was supposed to finish at 9 pm, as people had so far to walk home, on unmade roads in the pitch dark… no one seemed to want to go, and we prayed for most of the people there. Again, all manner of illnesses, diseases, infirmities went, lots of tears and laughter as pain and sickness made a rapid exit out of the building. 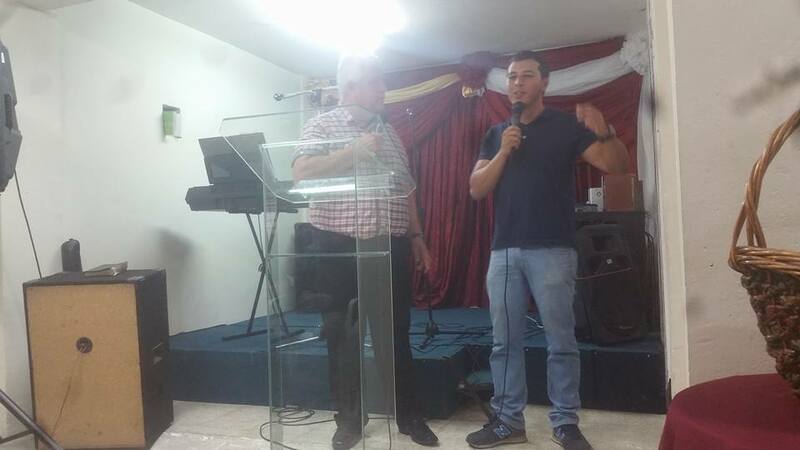 Alcides has offered an ‘ever-open’ door for every time I’m in Cali, alone or with a team… its such a privilege to have pastors offer their pulpits and churches to this odd little gringo…..
End of the line, for now…. A three-month break now, and an attempt to raise the remaining budget for finishing the centre with toilets, air conditioners, kitchen, doors, suspended ceiling, lighting, cabling for the sound system and video projector for church, chairs, mattresses, and so much more, from 21 October, with a key ‘handover’ in mid-November…please, Lord!! The miracles keep coming on all fronts! Plasterboarded, and looking more like home! The financial provision miracle is coming in slowly, but it’s coming…. we still need around £3-4000 this week to make the ‘working’ week full and worthwhile, but God’s God, and he’s got it all in hand, we’re sure. A lot of the electrics are done now, too…. Friday evening, Davy came with me to one of my favourite places (! – no, not the steak restaurant, Leños and Carbon!!) – but the lovely church, Nuevo de Nacer, pastored by long-time friends Gernan and Aida Hernandez. Three great guys came to translate for us – Cesar, Santiago, and Daniel, and they’re with us for the weekend. 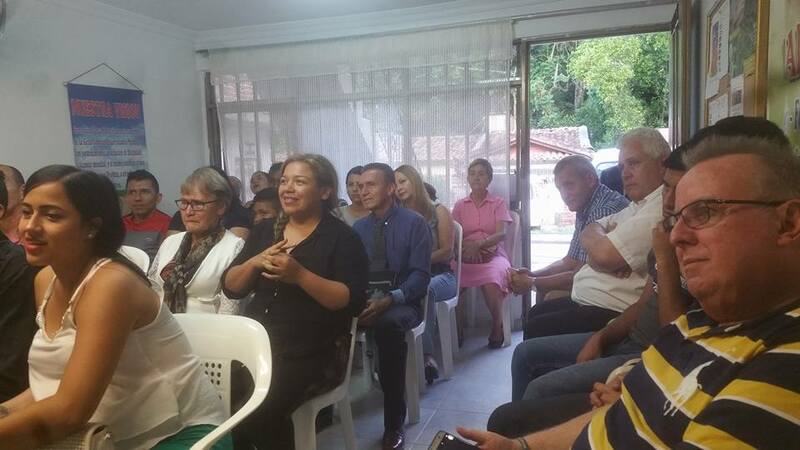 Probably about 40 in the church for the meeting – it’s in one of the toughest and most dangerous barrios, Simon Bolivar – but Gernan and Aida are doing a wonderful job there, in a barrio heavily populated by siccarios, the teenage motorbike killers. Davy and I reckoned we prayed for just about everyone – and, miraculously and wonderfully, what’s more – it seems that everyone was healed, many instantly, and the rest with major improvements in their condition. Davy had a plethora of back issues, and the ‘short arms and legs’ visual evidence of that provided him with opportunity to see the limbs ‘lengthen’ (it’s normally, of course, that the back and spine are getting into line and ‘equalising the length of the arms and legs – but it ‘s still an amazement to people to see a leg ‘come down’ to the same length as the other one!). He also had the opportunity to see a man set free from a long-time condition that was linked to his history as a paramilitary – which came to light when Davy had told him his OWN story of similar involvement in the past…. God’s great at putting the right people to be prayed for with the right person to pray…. That’s why I get loads of knees! 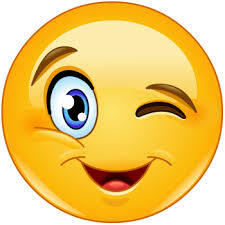 A lovely lady, in her 80’s, had been hit by a motorbike, and it had done extreme damage to her right knee. It was badly miss-shapen, swollen, and she had 24/7 pain in the months since. She had many other infirmities which meant that the doctors weren’t able to operate, as it would have been too risky for her life. Her pain as she sat in front of Santiago and me, was 9/10 (10/10 when she arrived at the church, but sitting for a while had eased it a bit. It went down to 5/10 after the first prayer, 3 – and then 2/10… and I saw her as she left the church with it 1/10 and walking well….I’m sure by Saturday morning it was 0…. Nancy, in her 50’s (maybe 60’s) had had a bad fall some months ago, and done a lot of damage to her coccyx – severe bruising, inflammation, etc., and it had spread up her spine to a great deal of pain in her neck and shoulders. It was wonderful to see God heal her instantly! As I left the church, she was at the door to say she was pain-free: though the enemy had tried to transfer the pain to her head, she just told him where to go – as I’d suggested she do with her back if the pain even suggested it was going to return. We were given a lift home by a visiting pastor, Jorge – and it turned out that she was his wife, pastoring together a church – ‘Encuentra’ (Encounter) – and it seems I might have an invitation for the team to another new church in the future! Davy and I got home late, Thanney understandably already in the land of nod. 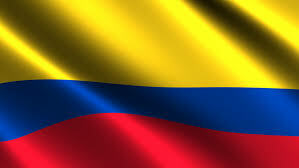 Yesterday daytime was nice and chilled, with some of Wilmar’s family over for a Colombian Ulster Fry! courtesy of Thanney – and then Thanney went to their apartment block for a swim, I took Davy gift and souvenir shopping! A report of last night’s meeting to follow, two meetings today – at the church of the lovely Jesus and Angela Mondragon this morning (it’s only 7.40 a.m. here at the moment, church is at 10.00 a.m.), and then later, at the church that used to be called ‘Today is the day of your miracle’ where, some years ago, a lady came back from the dead….more of that today please, Lord!! We’dappreciatee your prayers, please! – and for the remainder of the budget we need to make this week at the Foundation a week to remember. I know I often say it, but I love church names outside of the ‘west’. ‘God with Us’ says so much more than ‘Little Dribbling Christian Fellowship’ (thank you, Bill Bryson, for ‘Little Dribbling’!) – for the churches here, it is statement of fact: so often the church names are the vision of that church or a theological statement of where they’re at. Like shops in Africa, India, and so many places – ‘The God has done it beauty Parlour’, ‘Holy Spirit Wines and Beers’ (yes, really…. Ghana!). The church I relate to most here, as many of you know, is the one planted by and pastored for many years by my dear, dear friends, Hein & Teija Hoere, missionaries here for 30 yeara (Hein from The Netherlands, Teija from Finland), now led by by equally dear, dear friends, locals! 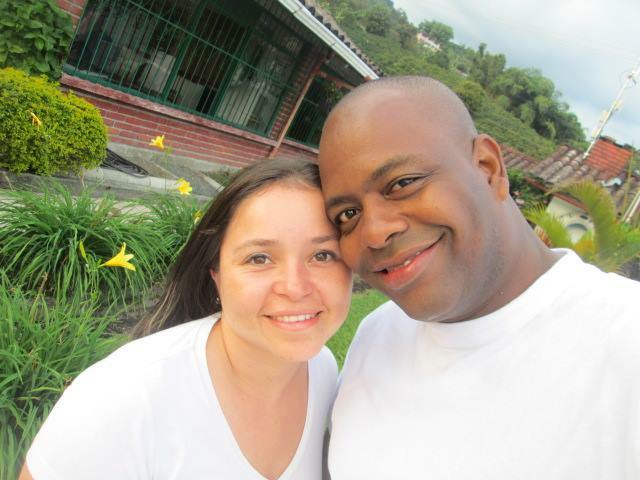 – husband and wife Wilmar Gomez and Marlene Rojas Gallego. It is now shortened to ‘El Abrigo’ (The Shelter/Shadow) from its original name, El Abrigo y El Altissimo, The Shadow of the Most High. I love it….both names…. God with Us is a super church, one I’d consider ‘home’, pastored by the lovely Rafael; great atmosphere, lovely worship (but not done to excess with smoke and flashing lights). Always, there people are healed. Wednesday was no different. Thanney, Davy, and I all shared, and then, of course, all prayed. Thanney had a number of oppressed people last night: a lady with breast cancer who had told no-one (not even God, though I think he probably knew…), who couldn’t bring herself to face it. Thanney told us how he handled it: it was brilliant, not praying, but just chatting together with God in a group of 3 with them. She exploded in tears, and when the tears began to slow, he asked her if she could still feel the tumour. She couldn’t, it had gone. That’s the sort of thing I mean by there being an open heaven over this city. Davy had some bad backs, so short arms and legs stood no chance with him around! – people not like me, with two legs short, but one leg or arm shorter than the other! I’m waiting for the day when God decides to lengthen both legs by about 12 inches (30 cms), and I can be 6 feet 7 inches tall!! I had a variety of diseases and people: but four of the people all said that when I was there last time, they’d had prayer from me, and been healed, and it sparked them to respond for prayer for other issues. The things healed included damaged spines, osteoarthritic knees (yes, I know! ), gastritis, and more…. it’s a lovely way to start to pray for someone to have them tell you that last time – and times before – a veriety of things were healed last night, including severe spinal pain, shoulder and backbone wear, a lady with what looked like eczema or psoriasis covering the palms of her hands, though she said didn’t know what it was, had a lot of the inflammation and cracks go…. everyone prayed for was either healed, or began the process, which is such a blessing to people like me! Yesterday, at the Foundation, the plasterboard arrived, and will start to go up in earnest tomorrow, and hopefully, the electrics will get done tomorrow: Thanney’s not 100% sure about that yet. It’s all going so well, so fast this trip: Thanney’s a happy bunny when he gets back home after the day’s work, even if exhausted with his foot, ankle, and lower shin hurting a lot…. We’d value your prayers, as our budget for the building for this trip is £25,000 / 30,000 euros / US$32,500 / AU$55,250. I was so blessed to raise around £16,000 before we came, and another £4,000 between us, since: we hoped, with the ‘history’ of the last trip, and a budget shortfall, that as the work was slow for various reasons (storms, rain, etc) that we’d get by with the reduced budget. 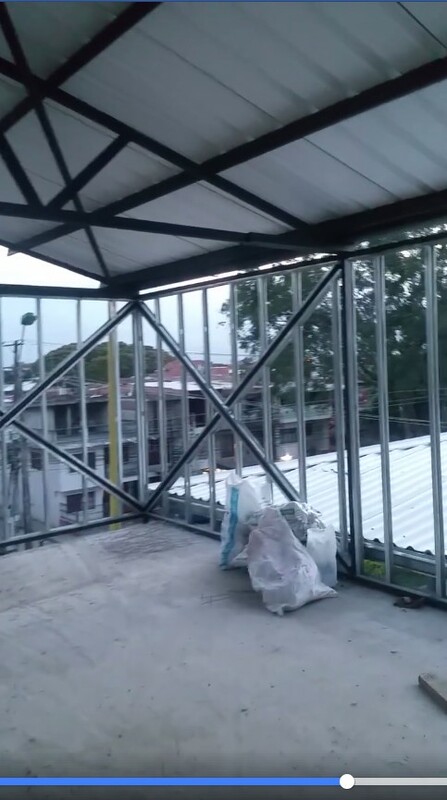 But Thanney, with Davy’s and Orlando’s wonderful assistant, has worked miracles again, and we’re likely to run out of money early next week, with a week still here in Colombia, when so much can be done to the building. Your prayer – and practical, if you’re able – support will be much appreciated…. We’re getting to the point where, because the construction of the Street Kids refuge is going so well – Thanney reckoned yesterday that he was about a day AHEAD of his schedule, which meant that yesterday, he was able to stop work at lunchtime (until more materials arrive this morning there was little more he could do), so he was able to have a rest, which I was happy about as he works so had, and his foot/ankle needs rest)…. 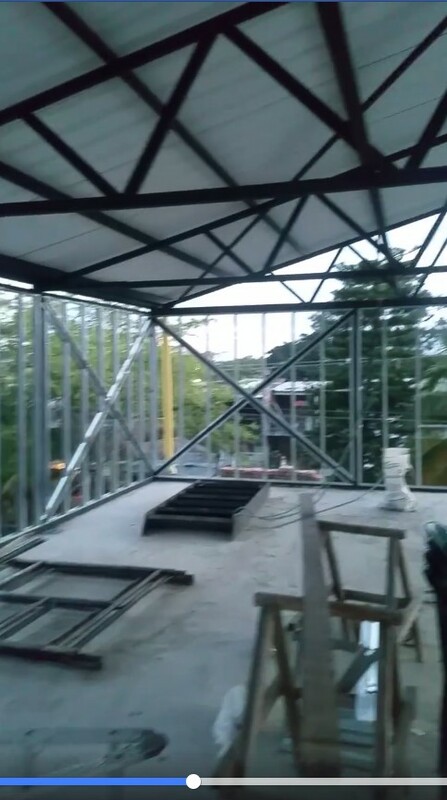 Yesterday, Thanney did a short video of the whole construction: I think you’ll agree that for a building constructed so fast, with only one expert builder (Thanney), and on a shoestring sometimes non-existent budget, it’s amazing…. How did the miracle come about? Well, our budget for the construction on this trip was £25,000. Prior to leaving Northern Ireland 13 days ago, we’d reached around £16,000 (a little vague, as some promises – perhaps better to call them ‘suggestions’ – from people hadn’t materialised!). We were worried that work would grind to a halt the middle to the end of this week, still with a full week here next week). Some money came to us for some expensive materials and work Monday: by Wednesday we were ‘skint’ (broke, out of money, for non-Brits and Irish! 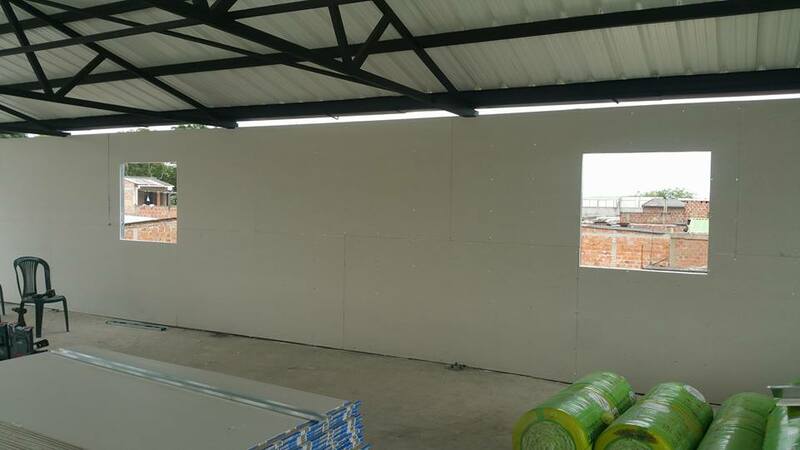 ), but Thanney needed to buy a large quantity of plasterboard… wonderfully some money came in yesterday morning, but with everything we had it wasn’t anywhere near the cost of the materials Thanney needed – 36 sheets of 8 feet by 4 feet plasterboard and the outside cladding. In faith, he and Wilmar went shopping. 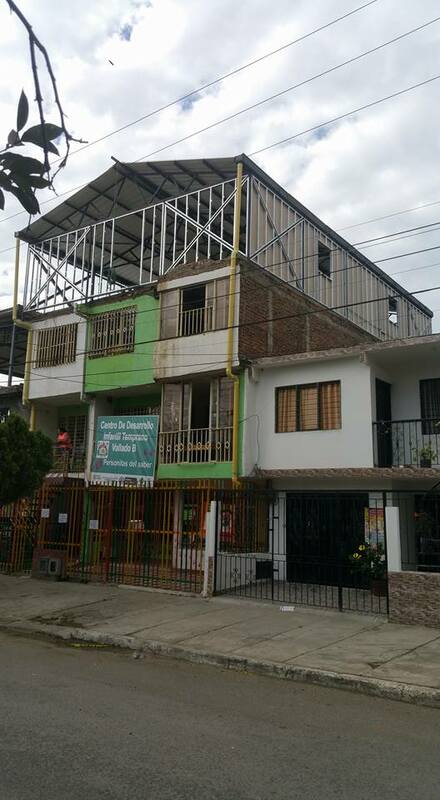 At the Colombian equivalent of B&Q, they ordered some materials, to be delivered today…. and then to another building suppliers for the plasterboard. The lads sat on a big pile of the plasterboards while they talked about what to do. Thanney felt that to buy one thickness of board would be perfectly adequate rather than a slightly thicker one. The board was on offer: a discount if you bought 40 sheets, Thanney needed 36. So he worked out what he’d need for other internal walls – like the toilets, washroom, small kitchen etc, and for other rooms. He’d need 58 sheets, which meant getting the bit of discount, which of course, helped a bit…. So he counted the pile – out of dozens of piles of different thickness plasterboard in the store, some higher than others – that they were sitting on. 58 sheets. Coincidence? Not at all. So they went to pay. It came to 4,800,000 pesos (4.8 million) – about £Stg 1,400. Which they didn’t have. The store guy asked why they needed so much, so Thanney, with Wilmar translating told him. The store man, without hesitation, because of what Thanney was doing, said he’d reduce it further – to 3,600,000 pesos (around £Stg 1000) – and then said he’d knock the ‘odd'(!!) 600,000 (about £170) off, too… so, now 3,000,000 (about £840, instead of the original near – £1400!! With what came in yesterday, and some late Tuesday night, there was exactly enough…. saving around £560-600…. To us, here, right now, that’s a wonderful blessing, a wonderful miracle. THANK YOU, LORD!! It might not sound much to you, but when you’re here, and the ‘money pot’ is dry, it’s a major miracle. 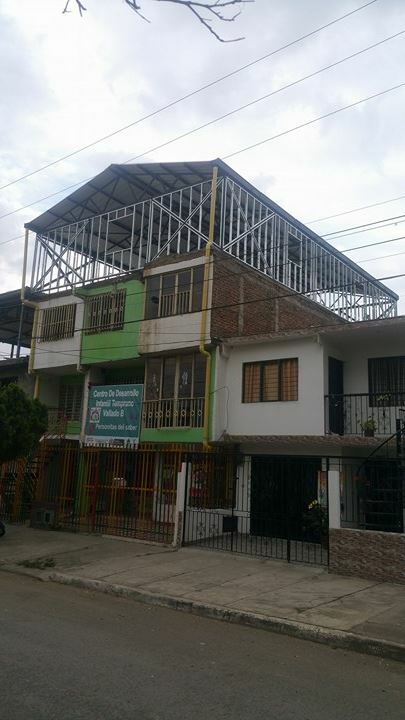 Next up is to buy the external cladding – the fitter is coming Monday to fit it: so we need, by then, around 3,000,000 pesos (£840) for the cladding: 4,200,000 pesos (about £1250), plus 600,000 pesos (£175) for the horizontal bars (for the cladding, not for Thanney and Davy to train on for the Olympics… 😉 ). Our next goal is, then, £2,285…..by the end of the weekend. Please, Lord….??!! The electrician is in, too, so cable and wires to buy: and the friends who have a business installing sound systems, will be at the site tomorrow to say what is needed to ‘bury’ the cabling in the walls, and for built-in ‘plugboards’ etc (for the church that will be planted there as soon as it’s ready, and so the kids won’t have ‘spaghetti junction’ to trip over! ), and the air-conditioning people in on Monday, we’re on our knees asking God – and his people – for help!! Extending the Kingdom of Heaven on earth…. Today was a bit of an ‘odd’ day – 50% of it lost waiting to see a doctor and then get scanned – Thanney has a damaged ligament in his left foot & ankle, and I felt it was a good idea to get it looked at, even if to know what to pray for specifically: and my injuries to my legs tearing muscles back home slipping off one step, and falling down the length of my stairs back home. It was a morning of waiting – fruitlessly, it turned out, as when we finally got to our turn, we thanked God for the National Health Service back home in the United Kingdom – and left the hospital without x-rays or scans, just a prescription for pain-killers! – as the scan the doctor wanted Thanney to have was going to cost 800,000 pesos – a good bit over £200! – and my x-rays around £80…. we’ve got better things to do with near-£300, like materials for the foundation building! So if you’d ESPECIALLY pray for Thanney’s foot and ankle, that would be a blessing. It really gives him gyp when the day’s over, and on and off during the day, too. But he’s a determined geezer, and won’t give up, bless him…. As you can see, it hasn’t stopped him working wonders on the building in 4½ full working days. Just to ask for your prayers again, as the construction is going SO well, that we’re likely to run out money soon, as we came here some £8,000 short of the budget needed for this trip, to house 150 rescued street kids in that huge extension. Materials are so expensive here, and there’s a lot that can’t be seen in the bottom photo – like the ‘in-construction’ long staircase (not one for me to fall down this time!) to replace a rickety spiral outside staircase…. It’d be tragic to run out of money and have Davy and Thanney, and the willing helpers from Cali, twiddling their thumbs for days next week. I think the lads would be like bears with sore heads…..! 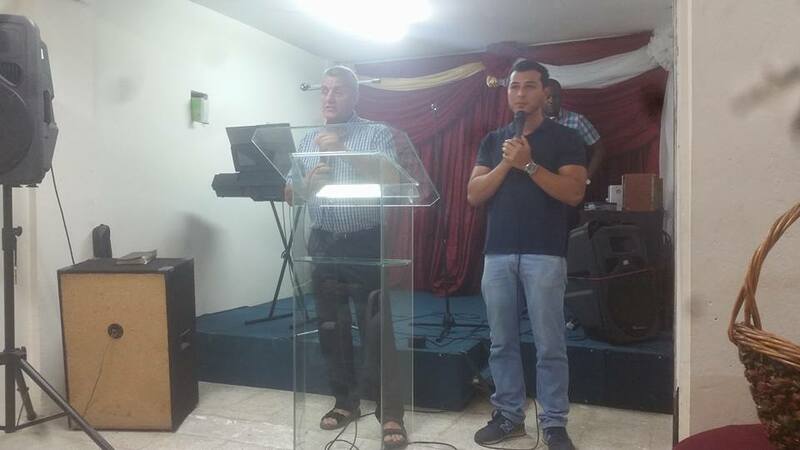 Ater probably 17 years since seeing Wilson Acevedo Pulido and Daniela Stelea, it was so good to be with them in a church I had no idea they planted and pastor a church – Iglesia Misionera Estableciendo Su Reino (Missionary Church Establishing His Kingdom) – in Cali! The last time I think I saw them was on the island Boca Chica (it means small mouth! – yes, really!! ), off the Colombian coast from Cartagena, in the Caribbean. Idyllic in some ways, hard work in many more poverty stricken (then – guess it still is). It was made famous by having part of ‘Romancing the Stone’ filmed there (with Michael Douglas and Kathleen Turner). Seven years ago, they moved to Cali, to establish work with kids in a troubled town just south of Cali, Hormiguero. They have a fabulous work there, teaching the kids everything from English to sewing to the Bible. When I met Daniela first time, it was a bit of a shock, finding a Romanian on a Colombian island! – I’d been going to Romania for some years then, and it was high on my list of countries I love – maybe just below Colombia! 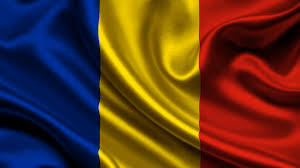 Perhaps it’s because their flags are the same colours, though different design – so bright and outstanding. It was a great meeting, and God was there big-time to heal and transform and deliver. 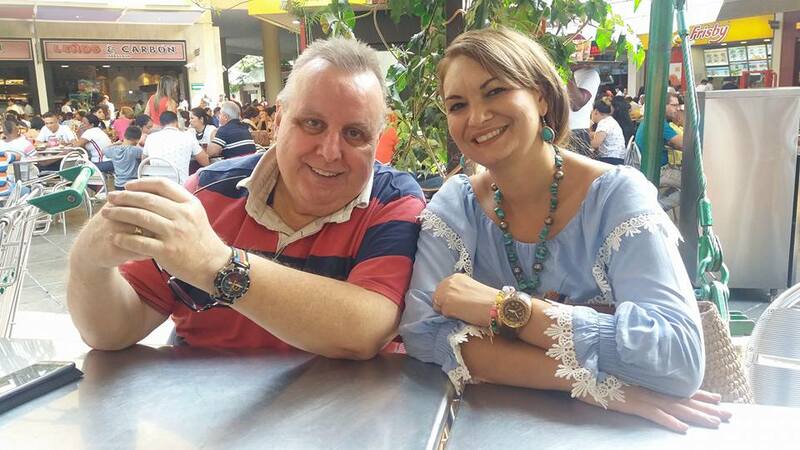 Wilson & Daniela have a big vision, coming into being, to establish many Christian schools in this region, and nationally in Colombia…. fancy a visit, Graham Coyle???? and set the tone for Thanney to share well again. Wilson’s a great translator, so easy to be alongside, I’ll forgive him for Texan English! The meeting, which I guess normally ends after an hour and half or so, lasted 3½ hours (!) – so many people to pray for afterward, so many people set free and healed. A young lad Thanney prayed for, had constant seizures, and told him of a ‘blackness’ that consumed him when the seizure arrived. Thanney knew it sounded demonic, he tried to get the lad to look him in the eyes, but he wouldn’t/ couldn’t, which confirmed the demonic presence. After about 15 minutes, he did look at Thanney, was prayed for, and knew he was free…. Thanney and Davy had a few oppressed/ possessed people: all went away free. I had all physical problems – one lady with extensive arm, shoulder, and knee pain (yeah, I know!!) was healed instantly – her face was an absolute picture! A lady with back and spinal pain had the pain drop to almost nothing immediately…. just told her to thank God for her total healing and the little residue would go. A lady with severe blood circulation problems, causing ulcerated legs, felt instant ease, and felt coldness go through her as she was prayed for. I guess you put ice on swollen and inflamed parts of the body, so cold coming from the Holy Spirit will do fine! Wilson was prayed for by Davy – seems he had one leg 2½ cms / 1 inch shorter than the other…. it’s become one of Davy’s specialities to see the back straighten and the leg grow out – in Wilson’s case it grew more than it was shorter than the other, so Davy got the other to lengthen, too…. With Daniela Stelea – good to be able to say ‘Buna Diminiata’ rather than ‘Buenos Dias’ to her! My watch strap is the colours of both flags…. : Daniela is from Călărași, between Bucuresti and Constanța, I preached there in about 1991-2. Small world! A lovely church: wonderful to be with Wilson and Daniela, odd Romanian words popping into my memory from time to time fell out of my mouth 😉 – and then to go with them as they took us for lunch. Thank you for that, guys!! There were lots more testimonies, maybe some more will appear in a future blog, but this one’s been pretty long already!